A bungalow with functional attic , without basement, with 2stands garage, intended for 4-7-person family. 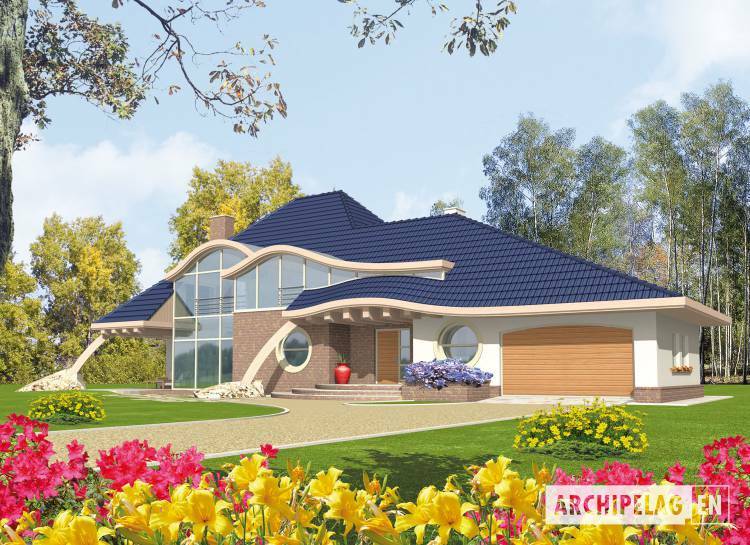 A characterized feature of a house is steep, gable roof, with wavy elements of big windows. On the ground floor is a daily and utility zone. On the attic are 3 bedrooms, 2 wardrobes and big bathroom. Above the garage is also a room which can be a loft. A house in bricks technology with suspended beam and block floor. A roof of wooden structure tiled with ceramic. Roof windows. Facades and plinth made with structural plaster and clinker siding. Internal wooden stairs. Woodwork windows.